The idyllic town of Kitzbühel in western Austria is a destination where modern lifestyle blends seamlessly with authentic alpine tradition. Throughout the year, Kitzbühel offers its visitors days that are filled with originality, natural brilliance and technical innovation, making it the ideal location for meetings that require fresh perspectives and creative thinking. Those who choose Kitzbühel as their conference destination can look forward to top quality facilities, unique ideas, a distinctive ambience and a wide range of services and hotels. With its outstanding location inside the triangle of airports of Munich, Salzburg and Innsbruck, this sporting town in the heart of the Alps is far easier to access than one might think. Offering a wide variety of conference centres, hotels and restaurants at a high standard and of excellent value for money, Kitzbühel is the ultimate destination for MICE planners and participants looking for something slightly different. Visitors have the opportunity to draw on the dynamic spirit of one of the Alps’ most celebrated sporting locations, guaranteeing an enriched meeting experience, as well as an exciting leisure itinerary for once the deals have been closed. The combination of old and new in this peaceful and stunning location is reflected across Kitzbühel’s hotels, restaurants and venues. The region as a whole boasts over 9,000 hotel beds in an assortment of star ratings, ranging from rustic farmyard lodges to exquisite five-star resorts and conference centres. The area guarantees an ideal location to suit every event: for example, the modern K3 KitzKongress centre, which opened in 2010, offers state-of-the-art facilities in a beautiful, contemporary building. With a range of multi-purpose rooms, from the 615sq m Palladium conference hall to the 11 additional seminar rooms, K3’s success is based on its ideals of transparency and hospitality. For more intimate meetings and events, however, the region as a whole offers a total of 20 MICE venues. 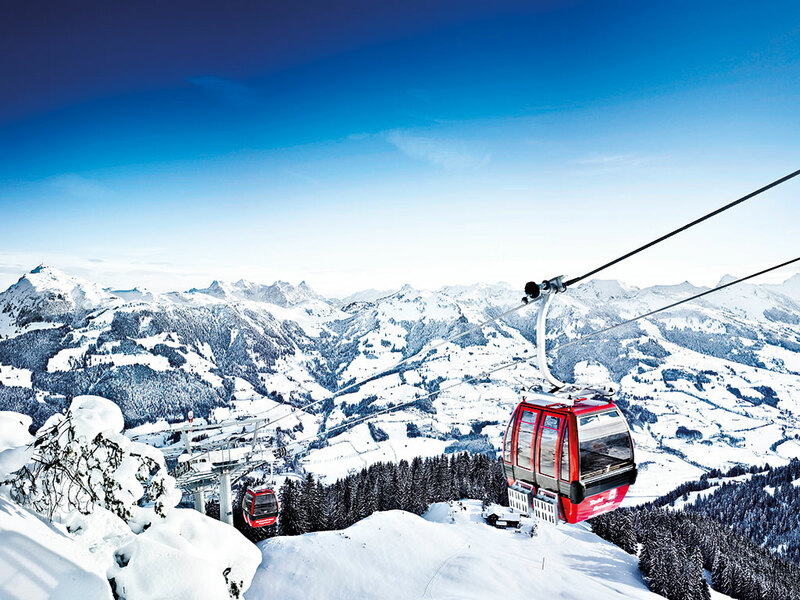 Kitzbühel’s convenient location means that it is perfectly situated for a variety of excursions, including to tourist attractions such as Swarovski Crystal Worlds. The town’s combination of beautiful landscapes, exciting attractions, traditional architecture and top sporting facilities makes for a truly inspiring setting, where visitors are able to find serenity and rest as easily as they might find exhilarating new experiences. 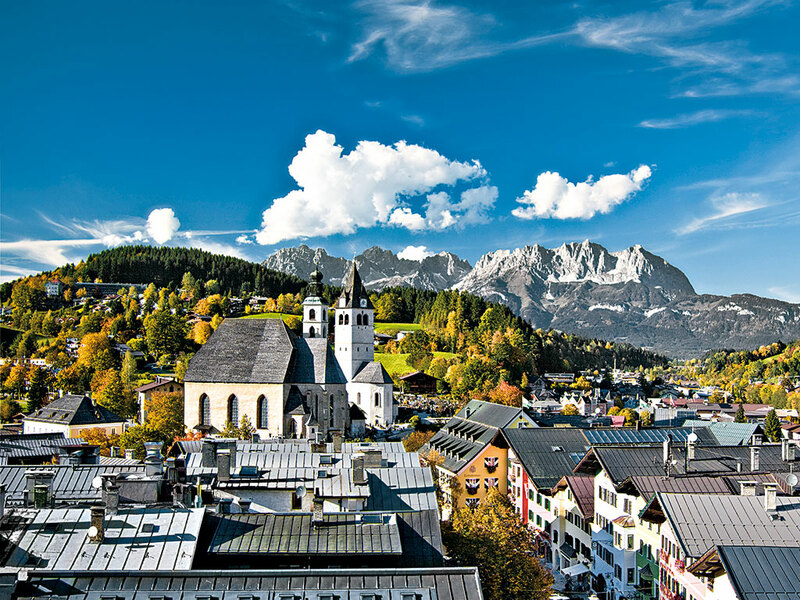 Kitzbühel’s picturesque town centre is ideal for a leisurely stroll through historic streets, while the expansive range of hiking, running and bike trails weaving through the stunning Alps provide the perfect outlet for those looking to try something more challenging. The alpine region has been recognised for its excellence as a business destination on numerous occasions. In 2015, two Kitzbühel MICE partners received the Austrian Ecolabel; the highest national award for recognising exemplary standards of sustainable tourism. K3 KitzKongress was one of the winners, being recognised as one of the Austrian leaders in green meetings and events. K3 has adopted a particularly sustainable and responsible approach in areas including regional value creation and social compatibility, as well as providing environmentally friendly travel connections for its guests. The second winner, the four-star sports and spa hotel, Bichlhof, was awarded the Austrian Ecolabel as a result of its dedication to providing sustainable accommodation. Kitzbühel recognises that it is people who truly bring out the best in a destination: as such, the area’s impressive and dedicated workforce collaborate across dozens of hotels and venues to ensure that each and every guest’s experience of the area is smooth, effective and enjoyable. This collective pool of resources has helped Kitzbühel to earn its impressive reputation as one of Austria’s most exciting, unique and enjoyable destinations for business events.